Yes, it's an ugly fact of life: writers also need to eat. Please use the form below to pay for the course you prefer. Payment is through Google Merchant, so please don't be alarmed if they ask you to sign up for Google Wallet. All payment will be handled through their secure servers. 12Writing will not have access to your credit card or other payment information. But if you have any questions about refunds, please see our Refund Policy below. Please Note: Registration is first-come, first-serve. If the payment buttons state that we're Sold Out, then I'm afraid we no additional slots are available for this course. Step 2: Register Your Name! There's nothing worse than registering for a class, and then the teachers don't know your name. Or they don't know that you've registered. So please match up your billing name (the one you'll use to pay us through Google), your Facebook name, and your e-mail. Step 3: Watch Your E-mail! Thanks for registering! Please allow a day or two for us to e-mail your confirmation. And don't forget to Purchase Your Books. If you don't hear from us within three days, please Contact Us to verify your registration went through all right. And rest assured - we will not charge your credit card until we've gotten you registered for the course. Registration is first-come, first-serve. For the Bivalve Reading Group ($10), there will be no refunds after the start on class on May 12th. For the Bivalve Writing Workshop ($75), you may withdraw from the course by May 26th for a full refund, or by June 9th for a half-tuition refund. No refunds after June 10th. 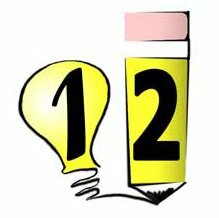 12Writing is an equal-opportunity resource for writers of all levels and interests, and we welcome everyone who is interested in our courses. However, we do require that all participants treat their classmates and instructors with respect, and we will strive to do the same. If at any time you feel uncomfortable with the course, please let us know right away. We want to do everything we can to make your experience with us as rewarding and productive as possible. In the event that any participant provides feedback or commentary which is mean-spirited, derogatory, or threatening, we reserve the right to remove that participant from the course without a refund.